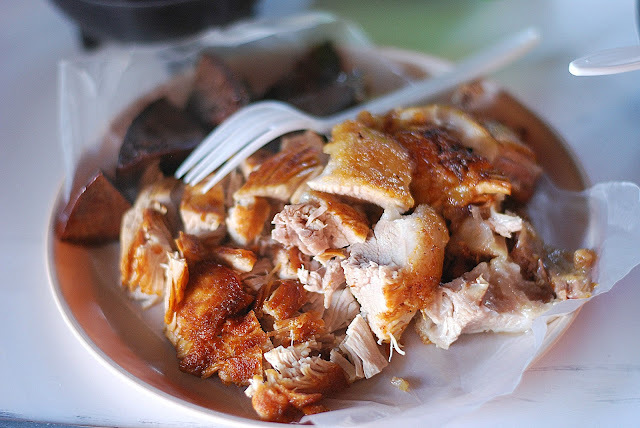 Back in early December, I did a post on the Best Street Food in San Miguel. Here are three new additions I discovered this month that you don’t want to miss: Gorditas de Migajas, Birria and Caldo so loaded with flavor, you’ll wish every night in San Miguel was a chilly one. Happy Holiday and Buen Apetito! Crumbs or migajas are what’s left in the bottom of the pan after cooking the carnitas. 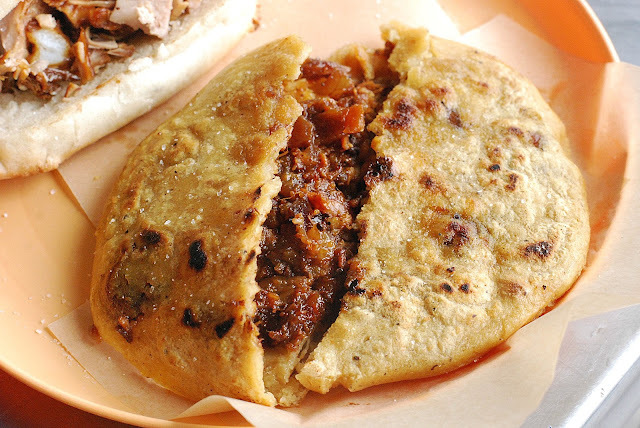 They are tucked into a pocket of masa and hand-formed into a neatly stuffed gordita. 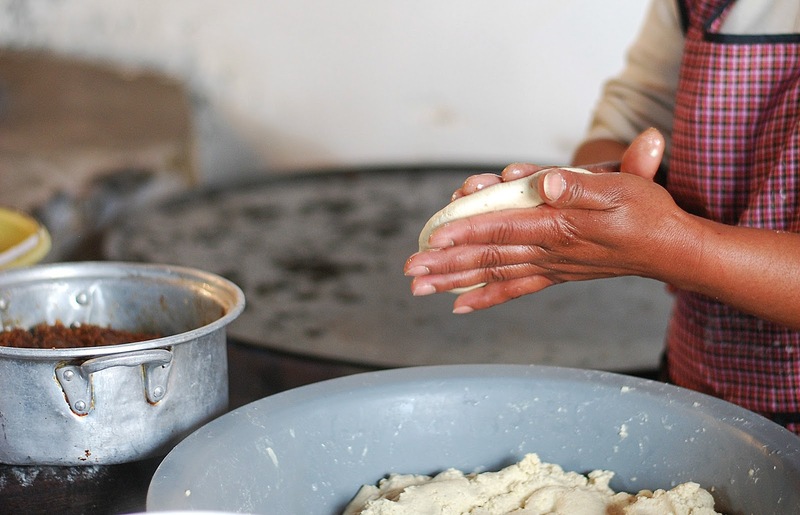 Watch them being pulled off the hot comal without even burning a finger and you’ll understand that this is a skill that takes plenty of practice to master. 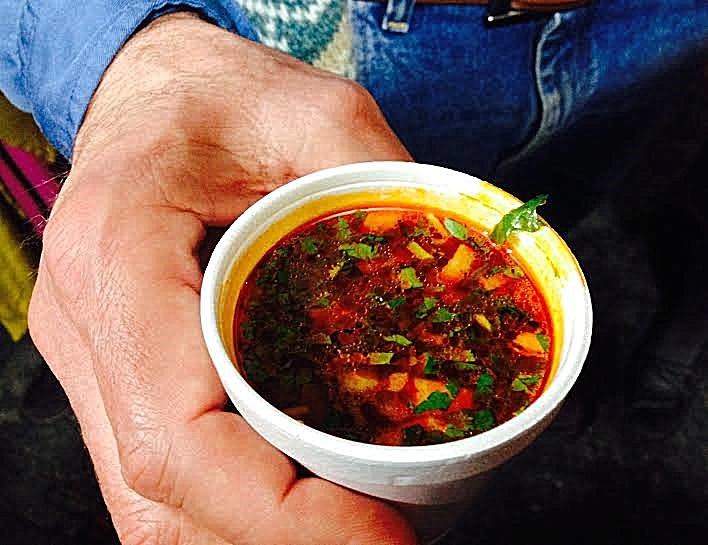 Top with a layer of Bautista Brother’s homemade roasted-tomato salsa. 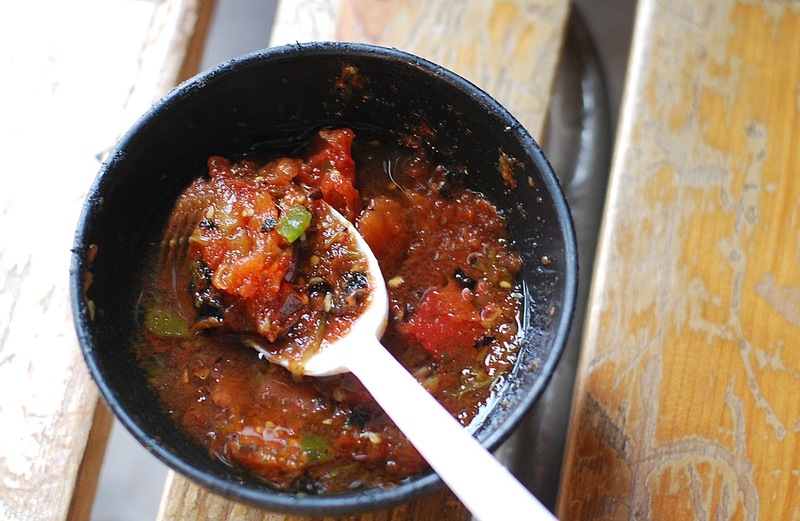 Laced with piquant spices, this salsa contain so many intense flavors it delivers a taste that you’ll likely not forget any time soon. Take the challenge and see if you can stop eating them after devouring just one. I couldn’t. Sorry, you’ll have to get your own because this flat cake is much too tasty to share. 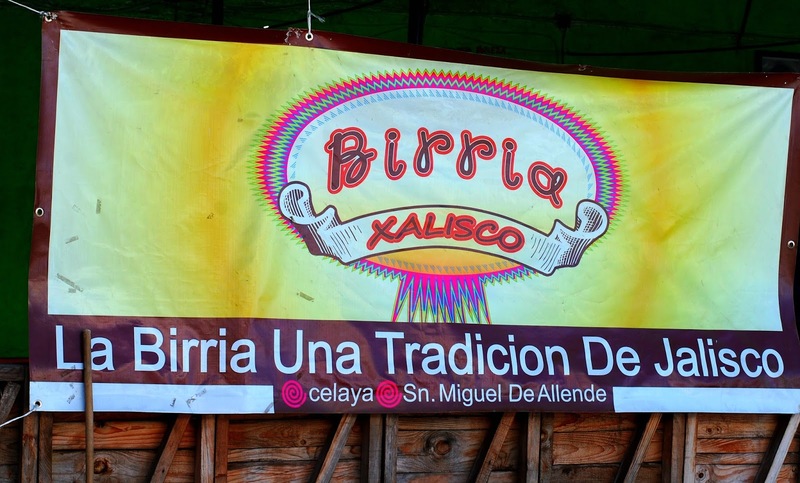 Birria Xalisco, a restaurant in Celaya just opened a location in San Miguel at Salida a Celaya #81. 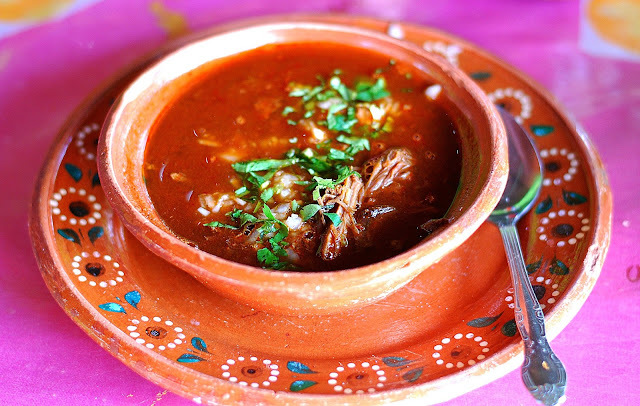 Birria, a spicy stew from the state of Jalisco, is made with goat meat that is marinated in adobo spices. 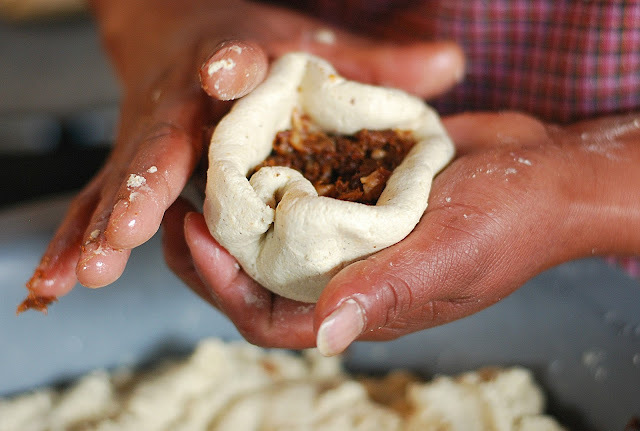 This one however uses lamb and the sauce is overflowing with chilies and spices that parallel a mole. It’s another reputed hangover remedy that apparently works according to my amigo at the neighboring table. It brought him back to life after just two helpings. Get a double on the meat and you’ll be full and happy when you hit the bottom of the bowl. There’s an array of salsas on the table to spice it up to the level of heat that you like. A real steal at 65 pesos a bowl. Just don’t wait for Day of the Dead to try it. 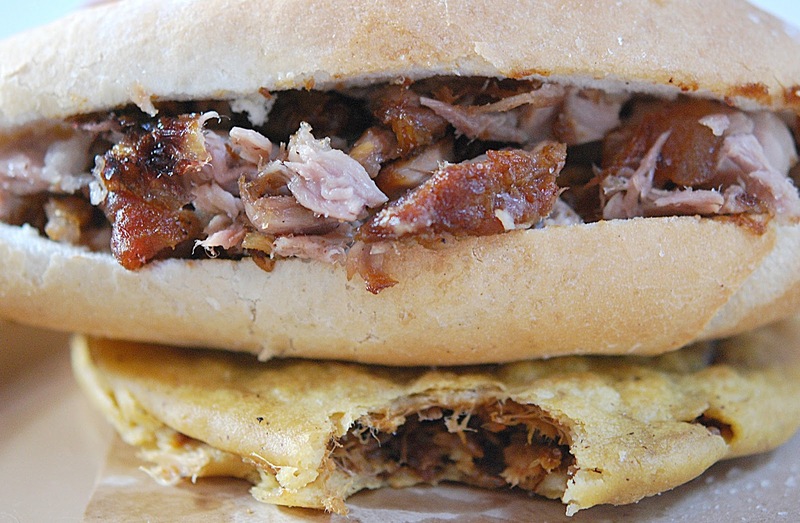 It’s as delicious and intense as it looks.